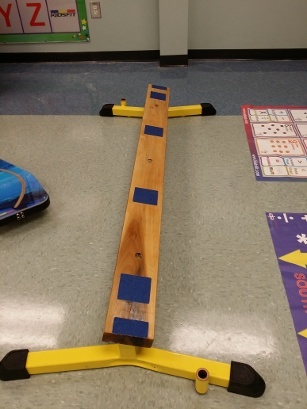 The KidsFit 510 Balance Beam enables kids to be challenged while improving balance and coordination. Kids improve vestibular balance, movement coordination, and concentration while understanding their body's center of gravity. The balance beam also helps to improve self-confidence, learning stablity and sense of reaction. Each unit is equipped with the ability to add another beam on each end, thus allowing facility operators to make the beam as long as they need. Call 1-800-875-9145 to speak with one of our fitness advisors with any questions and learn more about our Kid Fitness Products.